This job opening will accept male and female Filipino workers. Dream Force International Manpower Services (formerly Lyka International Manpower Services) is the accredited POEA agency that will be accepting applications and credentials of applicants. 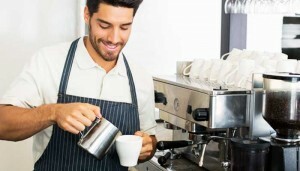 Twenty (20) baristas will be hired for this job. This entry was posted in 2016 Jobs, Abroad, Food Business, Restaurant, Service jobs, Skilled/Specialty jobs, Workabroad and tagged barista, Brunei, brunei jobs, brunei vacancy, job for barista, jobs in brunei, work in brunei, workabroad in brunei. Bookmark the permalink.